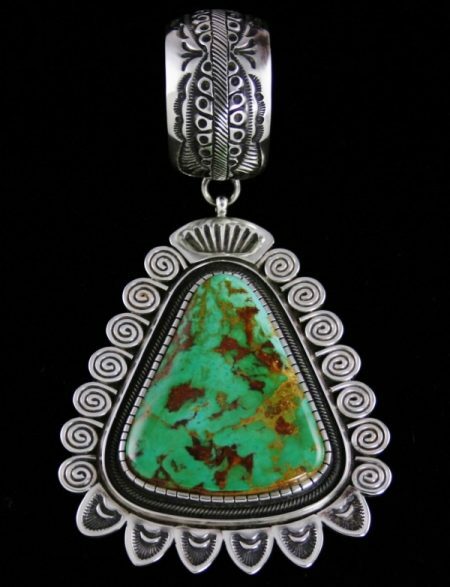 This marvelous pendant was created by Navajo jeweler Terry Martinez. 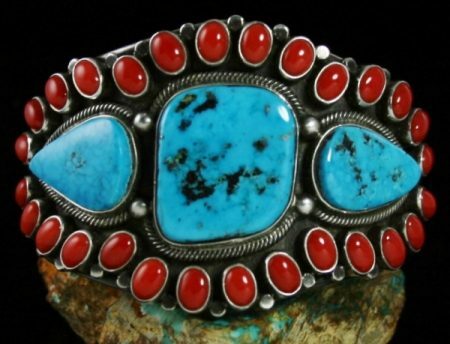 A stunning and abnormally large gem grade natural Blue Gem turquoise was selected for the central focus of the piece. 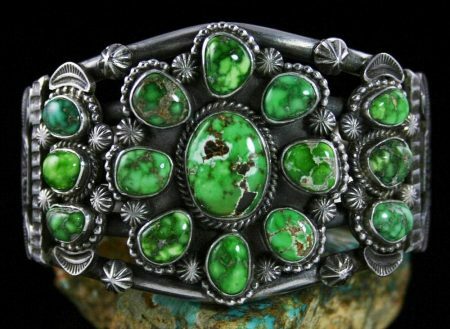 The gem is exceedingly rare as the mine was played out in the 1970s. 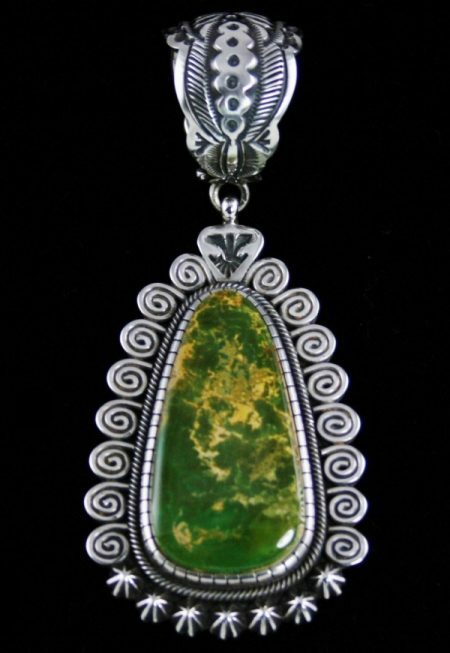 It is deep green with earthy swirls of gold and chocolate matrix. 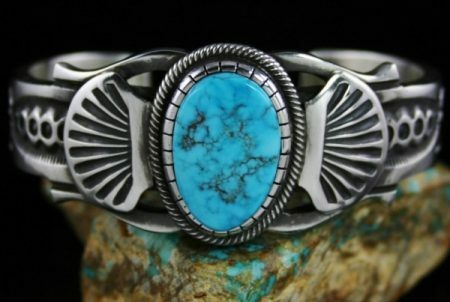 It sits in a hand made bezel on a substantial plate of rolled and hammered ingot sterling silver. 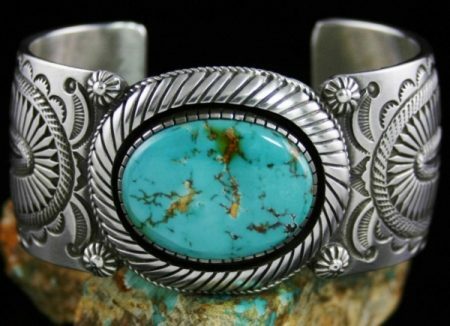 Terry has set off the rarity and quality of the stone with elaborate coils of silverwork and deep stamping on the outer edges of the piece. 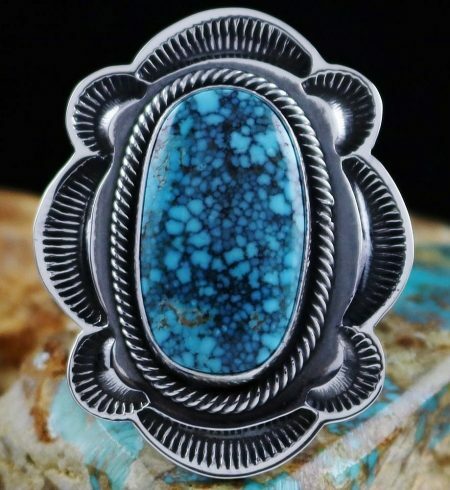 The pendant hangs from a gorgeous deeply stamped and oxidized large bail designed to hold a necklace or a fine set of hand made sterling silver beads. 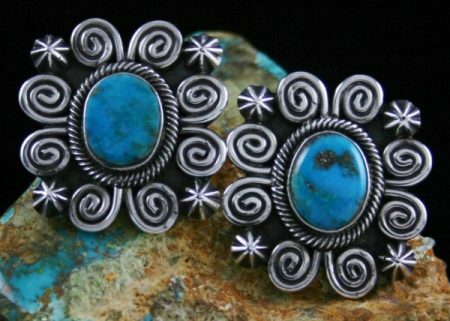 The finished pendant is a dramatic and unusual piece of wearable art. 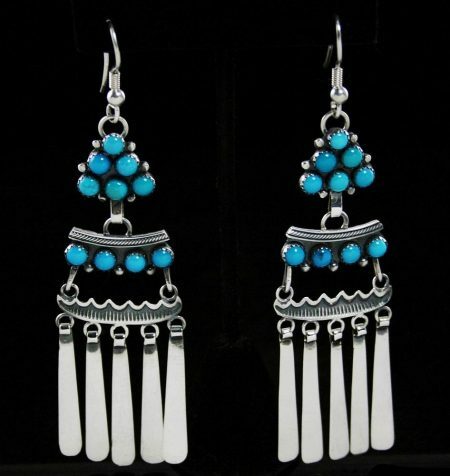 Navajo jeweler Terry Martinez hand made these lovely earrings set with two perfectly matched rare high grade natural Royal Blue turquoise cabochons. 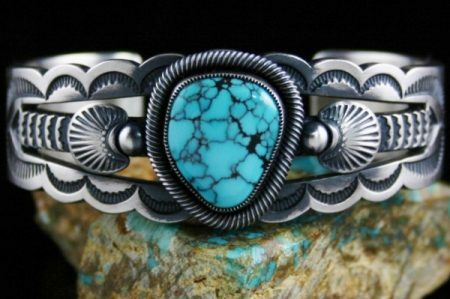 The gems are sky blue, the defining look from this famous old Nevada mine. 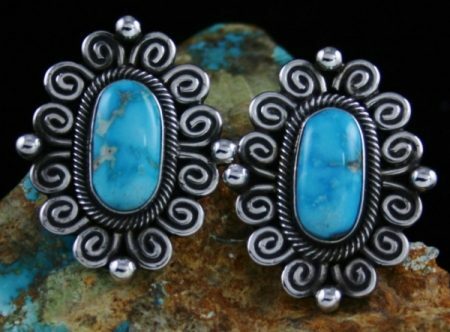 They are set in hand made bezels surrounded in twist wire. 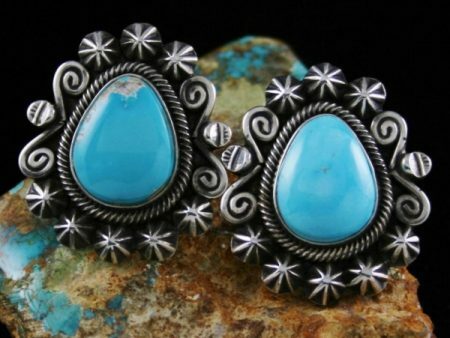 Elegant stars and swirls were placed on the outer edges to give the earrings a dramatic effect when worn on the ear. 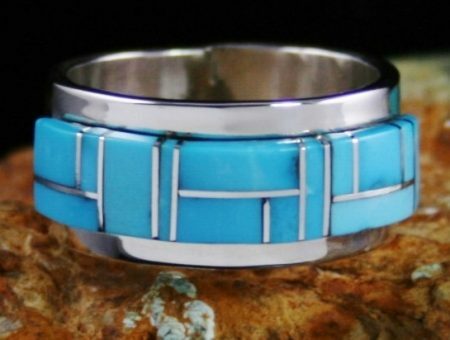 A lovely high grade natural Royal Blue turquoise was selected for this fine ring by Navajo artist Terry Martinez. 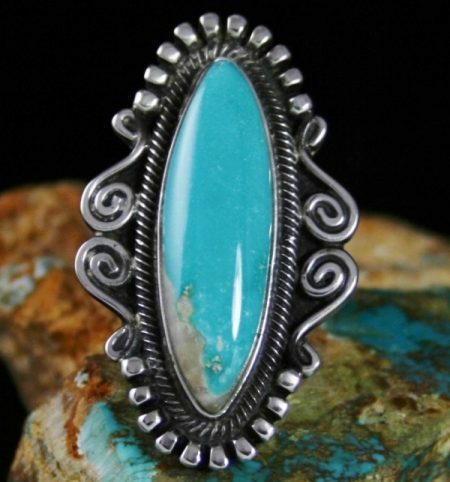 The gem is sky blue with an elegant and unusual shape. 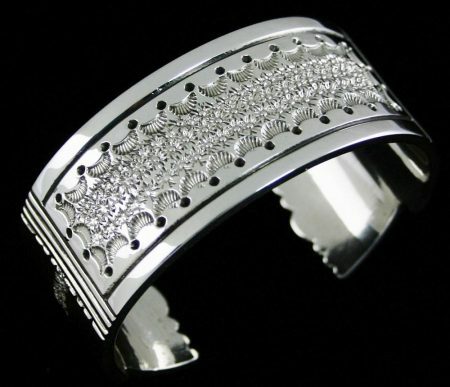 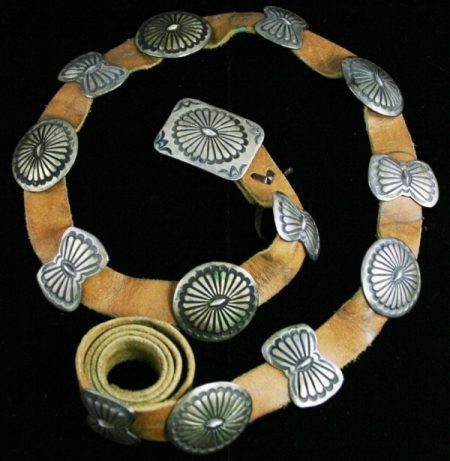 It is set in a hand made bezel surrounded with hand braided wire, intricate coils of silver work and droplets. 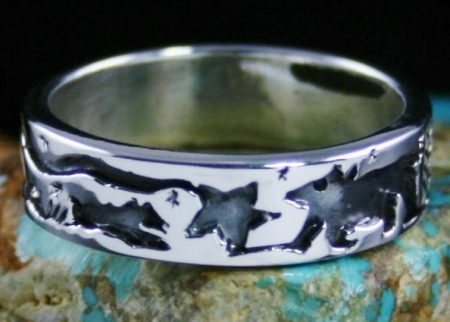 The ring sits elegantly on the finger, perfect to wear on any occasion. 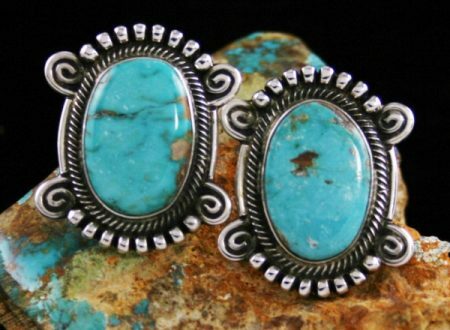 Two matching gem grade natural Easter Blue turquoise cabochons were selected to highlight these beautiful earrings. 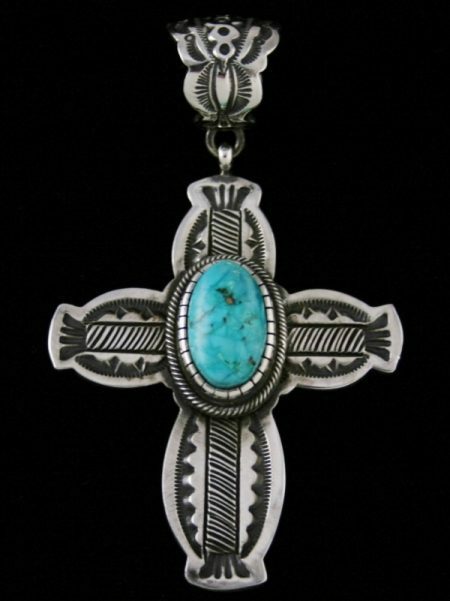 The gems are set in an unusual cross design hanging from fine reposse' posts. 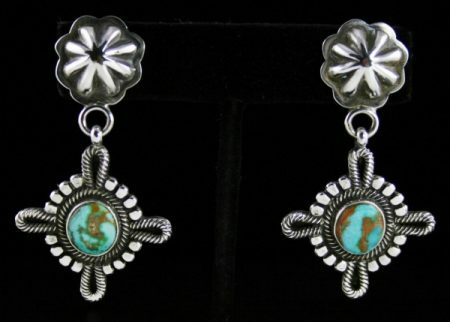 The finished earrings are perfect for the holiday season.